I’m sure many of you have seen the amazing work created by Olioboard member and award winning designer Rachel Guest founder of Red Earth Designs. 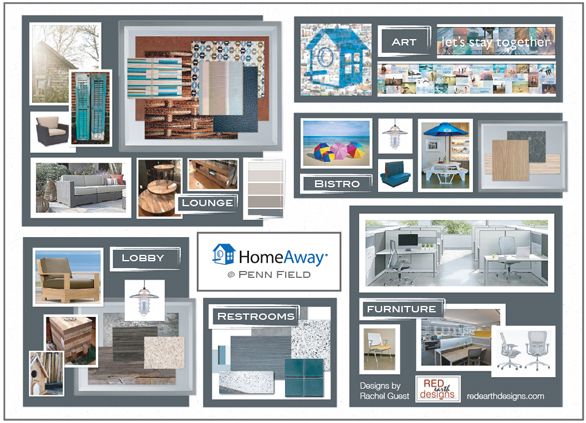 If you haven’t, here’s a look at the office space she designed for Home Away. 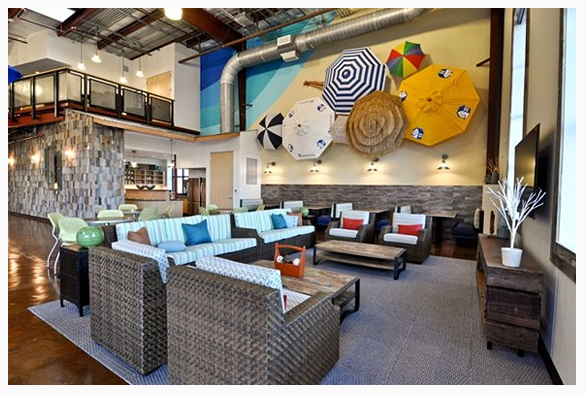 Rachel assisted in leading HomeAway’s World Headquarters to achieve a LEED GOLD certificate in sustainable design. The headquarters construction won the Best Construction of the Year of 2010 in Texas. 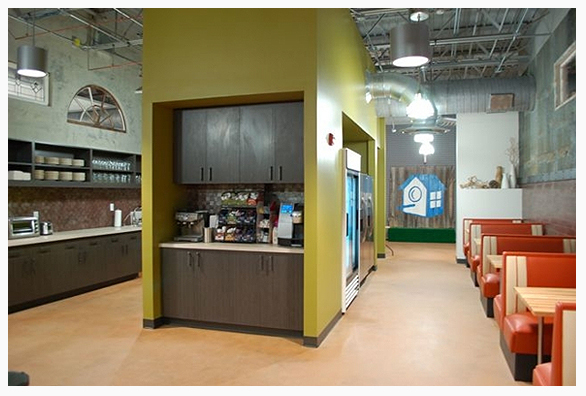 Below are some snapshots of the interior. Rachel, who was recently in need of some interns for her design studio, chose to run a competition involving the Art Institute Interior Design program in Austin, TX and Olioboard. To gauge which students were a good fit for her company she asked them to provide a design board created on Olioboard.com. Each student received an internship for one quarter, school credit and $500 at their completion of it. Best of all, they got the opportunity to turn that internship into a position within Rachel’s company. 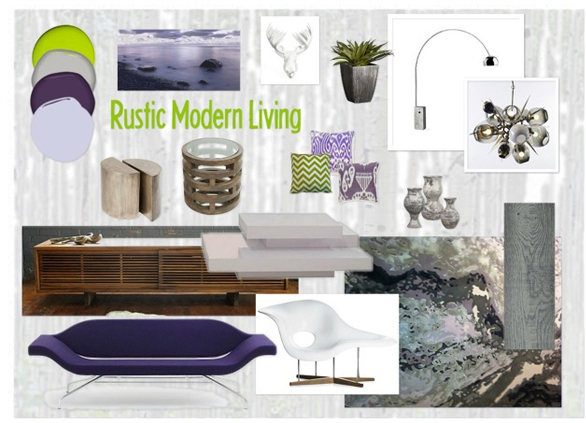 The boards should display a design for a rustic/modern living space. 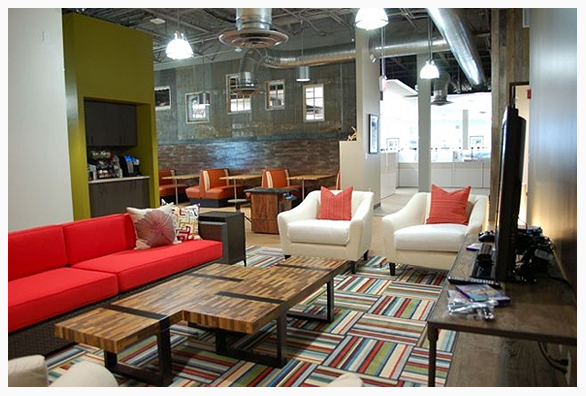 Furnishings and lighting only; no finishes that require installation or floor plans need to be considered. 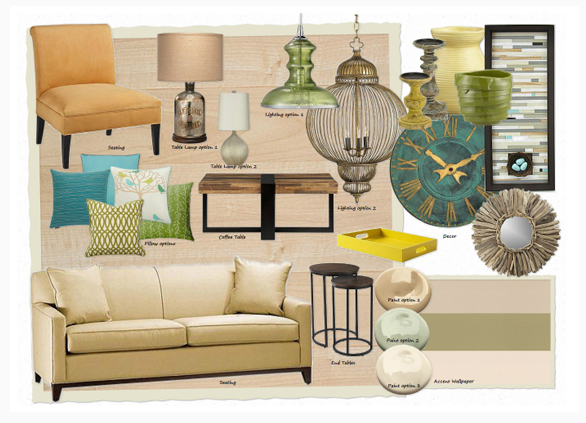 Examples of items that should be considered include: lighting, area rugs, seating, artwork, accessories, color palette, etc. Multiple options for each category can be provided, but are not required. The board will need to convey the concept itself through text and/or inspirational images since no verbal presentation will be given. Students were able to access RED Earth’s presentation boards through Olioboard (search Rachel Guest) to get an idea of what Rachel was looking for in terms of layout. We are so pleased to see that Olioboard is being used is such creative ways. Students don’t have full projects under their belts that they can show off to potential employers, but with Olioboard they can show their abilities in pulling a space and theme together. Here’s a look at the winning designs. Congrats to the three winners. 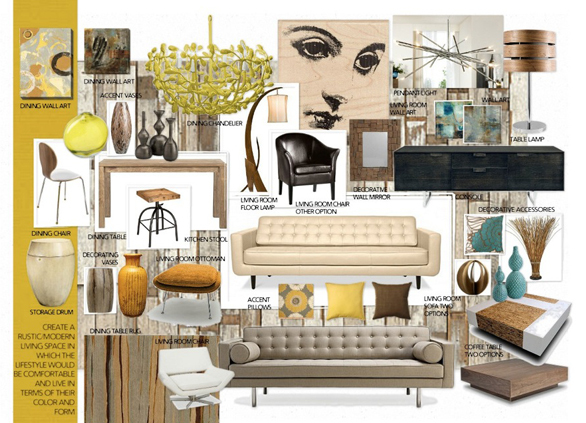 We hope you continue to use Olioboard and we look forward to seeing more of your designs. I’m sure you will have a blast working with Rachel. She is incredibly sweet and an amazing design talent. Take advantage of this time and soak up all that you can from her. Are you looking for interns? Maybe Olioboard and your local interior design schools can help you just like Rachel. We would love to hear all about it.